There’s just something about making homemade bread that creates memories. Memories that encompass every single one of our senses from the moment you start forming the loaf to the smell of baking bread floating throughout the home to the taste of buttered bread melting in your mouth all come from these few minutes. Yes, I want those memories for my family, but sometimes the extra effort gets in the way of my busy schedule. That’s why maximizing ways to make things from scratch, yet helping the recipe along in the quick fix department is always a goal. 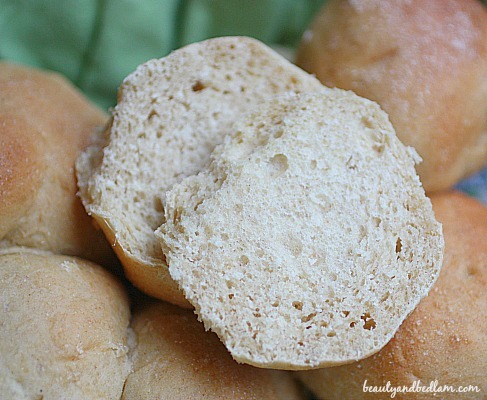 These delicious quick batter rolls mixes the best of homemade yeast bread, but just cuts a few corners with time. I’ve eliminated the typical second rise and you won’t even miss it. Originally, the recipe calls for all wheat bread, but you are free to use white too if that’s what you have on hand. I just lean towards freshly ground wheat for then nutrients. 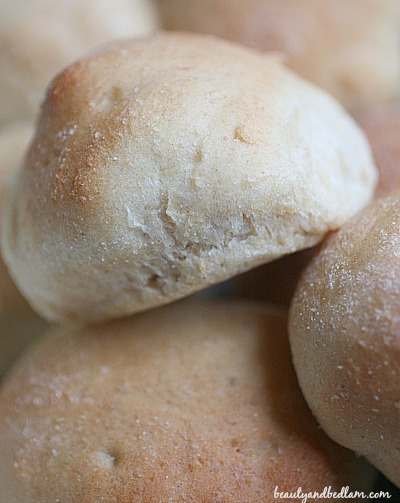 As always with yeast bread, these rolls are best fresh and hot right out of the oven, but I am sure I don’t have to remind you of that. They’ll be gone in minutes. Another very easy, as in whip up in five minutes, recipe is for my Homemade French Bread. I even include a video for those just learning, or this delicious 5 Minute Artisan bread recipe. 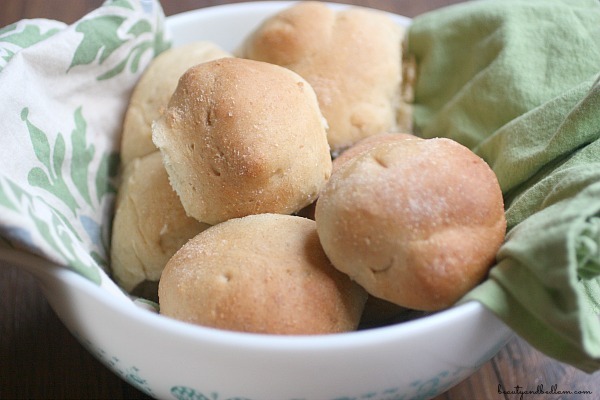 These delicious yeast rolls give you wonderful homemade rolls at a fraction of the prep time. Add oil, honey, salt and egg. Add 3 cups flour and mix until well blended. Let rise in warm place until double in bulk, around 20-30 minutes. Punch down and shape into rolls. Yum Jen! These look sooo good!! My husband will be so glad that I found these! He loves bread and I mean he LOVES it! haha. Thanks! And what baking temp? I cannot wait to try this recipe out! 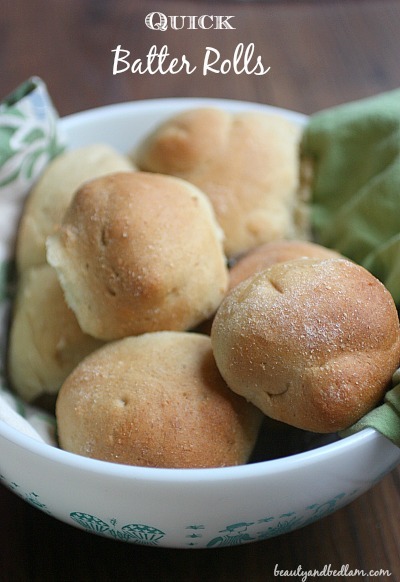 Your overnight cinnamon rolls, pizza dough & french bread recipes are staples for me. I’m sorry. Let me know what you found confusing and I can try and tighten up the directions. Should the yeast amount be 2 teaspoons rather than tablespoons?